Designed for quick reference on any job site, the essential fire alarm installation pocket guide, NFPA Pocket Guide to Fire Alarm and Signaling System Installation, Third Edition provides all the information you need to design, install, or maintain fire alarm systems. 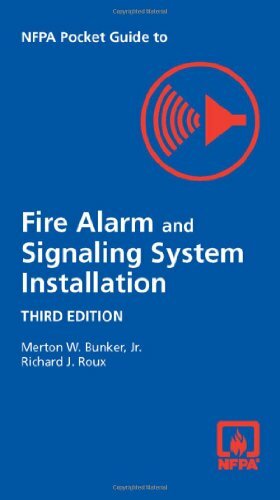 The Third Edition of this classic reference has been completely revised to keep pace with changes in NFPA 72, National Fire Alarm and Signaling Code. NFPA 70, National Electrical Code. NFPA 101, Life Safety Code, and other standards. Logically arranged, the pocket guide follows the order of topics presented within NFPA 72 for fast access to important information. In addition to useful tables, formulas, and figures, the Third Edition covers power supplies, survivability, and spacing of detectors and notification appliances and includes updated information on new circuit survivability requirements and a special new section on mass notification systems requirements.